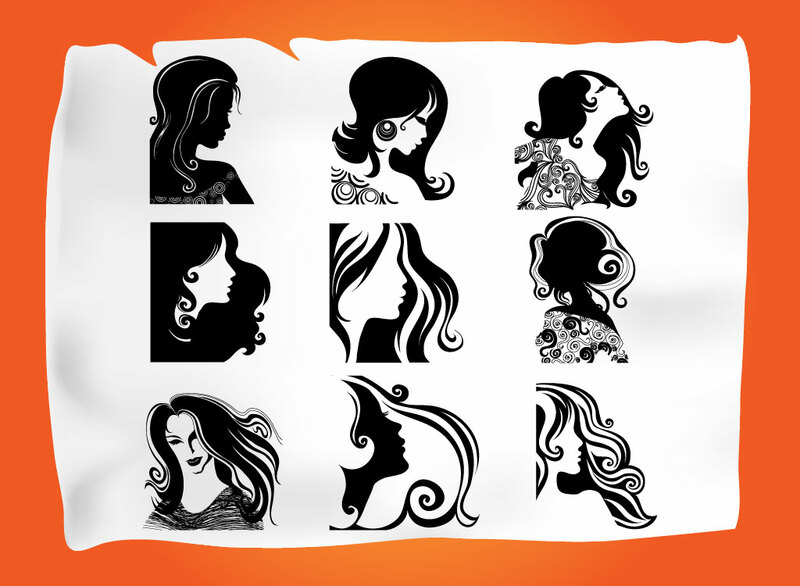 Retro women vector silhouettes pack for your hairdressing, hairstyles and beauty spa designs. A freebies vector set of nine different silhouette style Illustrator graphics featuring young women with beautiful, flowing and curly hair. Great graphics for hair salons, fashion boutiques and lifestyle theme designs. Zip file comes with AI, PDF and JPEG format files. Tags: 60S, 70S, Beauty, Fashion, Girl, Hair, Hairstyles, People, Trendy, Woman, Young.